Many buyers report to us after receiving the glue that the glue is dry? In fact, the glue will freeze when the temperature is below zero, but it is not like a water-like frozen ice-like structure, but a dry structure that looks like a cotton wool. It is mistaken for many people to think that the glue is dry. And there are a lot of people who don’t understand this situation, and they often sell the sellers what they have expired and sell, and used hats such as selling or fakes. Here I want to say fair words to the seller, very few people doing business will sell for a small commodity. First of all, the value of the commodity is not high, and it will not touch the moral value of any person. The physical store is convenient because of the current sale and acceptance of the goods. The probability of such a problem is small. Most of these tongues occur in online product sales, and the degree of misunderstanding of the buyer. It is relatively high. When we sell glue, we will carefully explain in the details of the goods in the winter to be cautious to purchase, so as not to cause unnecessary losses. Why Does Faux Eyelash Glue Cause Allergies? 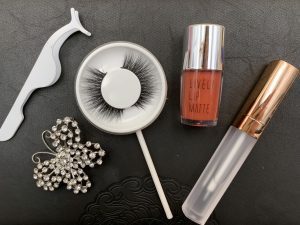 Here we analyze a few reasons, many friends said, I used to use faux eyelash glue is not allergic, why is it allergic now? Is the skin thinner? In fact, this is not a thinning of the skin. Due to the long-term use of glue on the eyelids, the glue covers the skin for too long, and the skin is in an airtight state, which may cause eczema and become red and itchy. This phenomenon is especially true in summer. obvious. In addition, when the false eyelashes are removed, the excessive viscosity may be excessively applied or the glue may be too thick, which may cause strain on the skin. The small flaws are not visible to the naked eye, but if sweat or glue is applied behind, It will be stimulated and cause local pain in the skin. The last point is that the glue penetrates into the sting, saying that although it cannot be proved, many people are still plausible. Glue is produced according to the national cosmetics quality inspection requirements. Generally speaking, it causes a wide range of problems. If the actual operation is indeed the case, the state will ban the production and sale of such products, so if it meets the relevant national standards, it will not There are such problems, so we say that this statement is unverifiable. Some people say that my skin is thin and easy to cause damage. I have to remind the beauty lady of this beauty. In fact, people’s facial skin is also composed of stratum corneum and dermis. The stratum corneum has the effect of protecting the skin. He will naturally fall off. However, many people often use softening keratin exfoliating products, which will expose the fresh and tender dermis layer to the outside. This will not only cause some cosmetics to irritate the skin, but also the ultraviolet rays and the bad components in the air will stimulate the skin. Maintenance is not excessive damage to these protective layers. Of course, if your skin has reached this level, and you want to do eye makeup, I suggest you use hypoallergenic glue, but hypoallergenic glue is also useful for most allergies. After all, there are many allergies. Symptoms are not completely caused by external skin or natural environment. There are also many allergies caused by problems in the body. Allergic foods or foods that are allergic to foods may also have an allergic reaction to hard skin. These can not be unilaterally blamed by cosmetics. As a result, personal advice is that this situation should not blindly guess and suspect, look for a regular hospital to check the cause and then deal with it. There are a lot of glues on the market, and there are not many types of hypoallergenic glue. Here I introduce you to misenlashes hypoallergenic glue. The main reason is that this glue is not expensive and is useful to most people with allergies. It is very healthy. Safety. 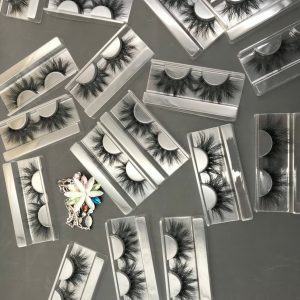 What should I do with false eyelashes new retail? Misen Lashes tells you the answer!